Some elves start decking their halls before the Thanksgiving turkey is barely cool (or, as I've heard, some insane elves start even earlier). Lazy elves scoff at such energetic enterprise. 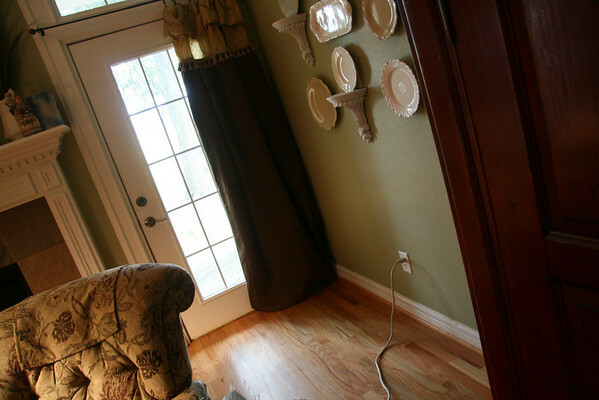 Why buy a tree early when you can enjoy an empty corner for free? That's the lazy elf motto. Want to do a blessing tree? Great! 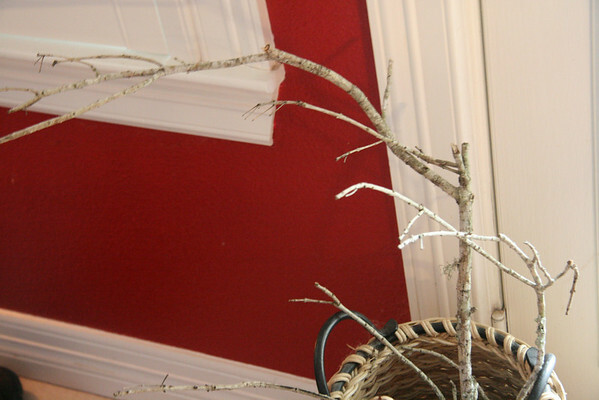 Grab a branch and just stick it in with the umbrellas, telling yourself you will make the ornaments soon. 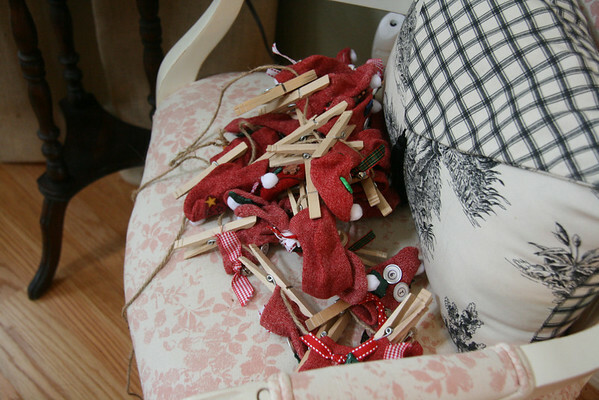 Leave the advent stockings in a pile on the chair in the foyer, feeling slightly defeated since the lazy elves didn't purchase treats earlier. 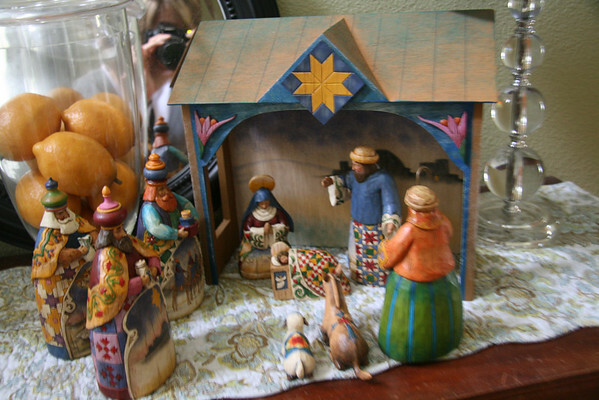 Be sure though to set up nativity scenes around the house in order to keep the focus on where it belongs. 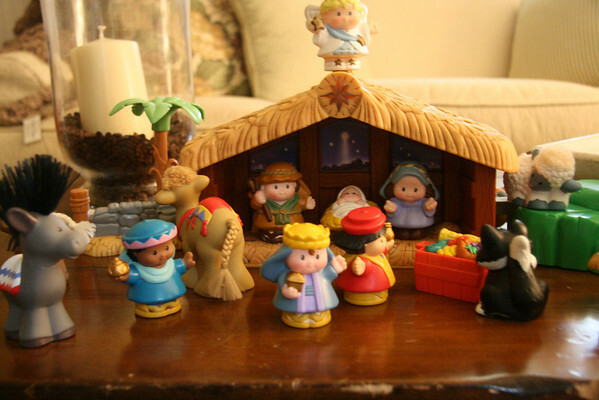 Lazy elves also fall victim to store bought advent calendars which do not demonstrate homemade creativity or have anything to do with Jesus. 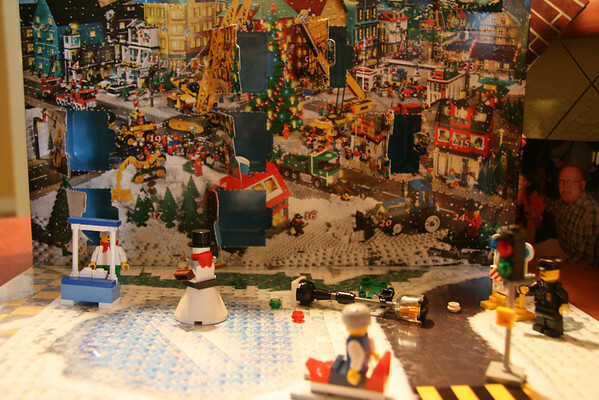 Nothing like counting down the days to the birth of Jesus like Legos, right? 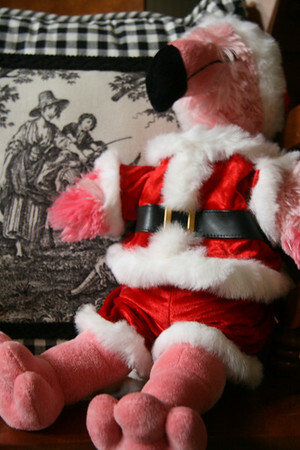 No, we don't have a tree in every room, or even one tree in one room (yet), but Flo the Flamingo has on her Santa suit. I feel your pain. I usually buy the cheap, candy advents that have nothing to do with Jesus just so the kids have a count down to Christmas. But this year I have the darling advent stockings Michelle made for me last Christmas, but that means I need to fill them up with candy and notes...I bought the candy, but haven't done any notes and haven't hung them up and now it's the 10th. Good grief.